You ever feel like you have younger sisters that could be your big sister because you learn so much from them? As the oldest of 8, I feel that way frequently. You get to meet another one of my sisters today, Janna. 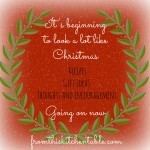 I’m excited to have share what she’s learned about Christmas since she’s been married. It’s that time of year again! I love Christmas, but I don’t always love the craziness that goes along with it. 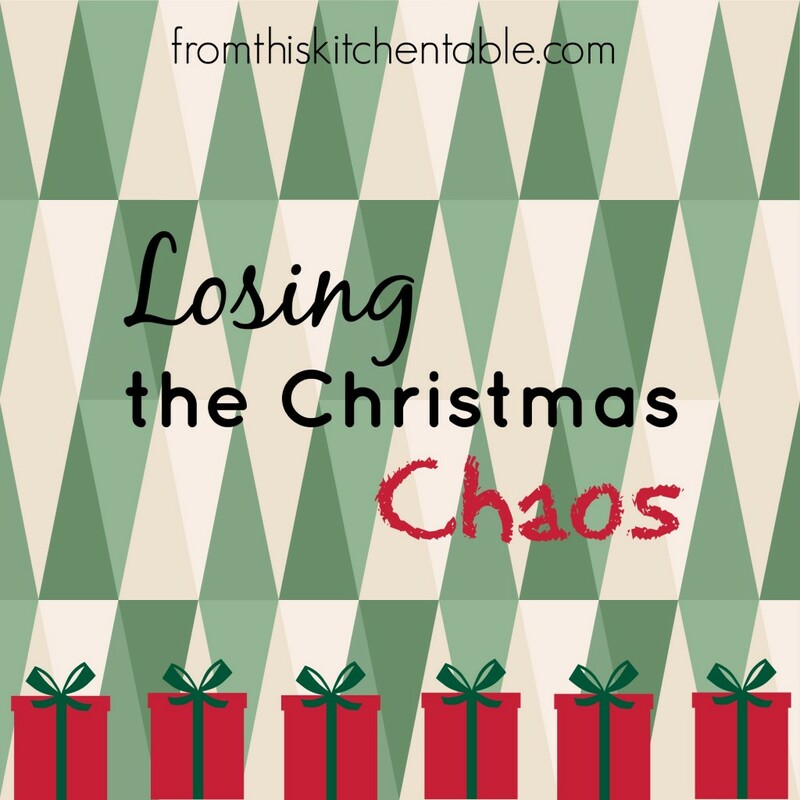 It’s easy to become overwhelmed and lose our joy when we become swamped with Christmas obligations and festivities (Christmas shopping, family obligations, meal planning and preparing, parties to attend, etc). My husband and I have found it important to take time before all the craziness begins to discuss how we want to celebrate. While we haven’t figured everything out yet, we’ve found that this helps us to keep a joyful spirit and remember the purpose of Christmas. Each year we learn a little bit more about how we can best celebrate the holiday and create meaningful memories without losing a little bit of ourselves in the chaos. Here are some things my husband and I have tried to keep in mind as we’ve made our plans. Don’t feel guilty about saying no to anyone, even family. If you’re newly married, keep in mind that you are your own family now and it’s okay to begin new traditions. If you’ve been married for many years, it’s not too late to create a new tradition or end an old one. Plus, if you feel like you’re being obligated to participate, or you become overwhelmed when you think about it, it’s probably not going to be an enjoyable memory or event for you or anyone in your family. Don’t let tradition become a killjoy. Christmas can quickly become about all the shopping and gifts if that is where the emphasis is put. It’s easy to feel pressure to buy more when you compare yourself to peers or the media, but it’s okay to keep things simple and not spend hundreds of dollars on your children or loved ones. If you’re a parent, try buying fewer gifts and/or put money in your kids’ bank account. That growing bank account will be much more appreciated later than any toys you might buy now. If you’re married, discuss gifts with each other. You might find that what the other really wants is alone time, a handwritten note, or a weekend getaway. The best gifts don’t always come in packages. If you find you want (or are able) to give more, you could do it later in the year as a “just because” or “extended Christmas,” or choose to have a bigger Christmas next year; the bonus to doing it this way is that it will be unexpected and won’t create attitudes of entitlement around the holidays. Remember, it’s easier to add on than it is to reduce later. If you have young children, keep in mind that what you do now will mold their expectations for the future. Instead of falling prey to the commercialized holiday experience, discuss the true meaning of Christmas with your family and figure out what values you want to instill into your children or each other during the holiday. See if you can come up with some new ways to celebrate and reflect upon these values. The most exciting, fun, and memorable Christmases of my childhood weren’t ever dependent on the gifts I received; it was always the years that my parents challenged us to “give back” a little. I distinctly remember the years my dad took me and my sisters to a local restaurant where we helped serve Christmas meals and hand out Christmas presents to those who were unable to afford them. I remember my mind widening and my heart softening as I realized how blessed I was; I went from feeling jealous at the sight of a huge box filled with Christmas presents that weren’t mine, to eagerly searching for the next child to wander in so I could give them a gift. One year, when my husband was in high school, his family opted not to give each other Christmas presents. His parents filled up the kids’ stockings, but the money that would’ve been spent on gifts was instead given to organizations of the kids’ choosing. While these things may not be right or an option for you and your family this season, be creative and don’t be afraid to try something new this year. Looking back, I can now see how these Christmas experiences my parents provided for me were more valuable to me than any gift my parents have ever bought me. They have helped encourage and shape me in so many different ways, and have opened my eyes and heart to things I never would have seen had I just been given piles of presents. This year, choose to give your children a gift that keeps on giving rather than a toy or a sweater they’ll outgrow in a few years. Gifts and experiences like these can’t be purchased, but the impact they provide can never be taken away, broken, or replaced. This entry was posted in Uncategorized on December 18, 2013 by Deanna Michaels. I totally agree about making your own traditions and not feeling bad about it. I feel like it took use a few years, and two kids, to realize that it’s time NOW to do the things we want to be traditions in our own family. It’s so easy to feel like you can’t because you’ll offend the parents who’s traditions have to end to make way for your own but it’s also important not to feel like you are doing things to please someone else when you would rather do it your own way. Yes! And it’s easier to do it sooner I think than waiting years and years. Glad that you guys are doing what you want know. I hope that you have a wonderful Christmas making memories and traditions of your own. Such wisdom here! We lose so much of the meaning of Christmas in a frenzy of busyness and stress. Yes, busyness and stress cause us to miss so much. You have a wonderful Christmas and New Year too! I am realizing that our family needs to revisit these choices and re-evaluate how we want to celebrate Christmas each year. It seems to get away from me so easily. Thanks for sharing your great tips and ideas of how to manage and enjoy the season! Yeah, I’m thinking it’s a good thing to sit down and re-evaluate ever year. I know I want to evaluate and make thought out decisions before we head into next year. Even when it comes to how we handle presents and all the different activities. Thanks for stopping by and I hope you had a wonderful day with your family.